Many people think that sexual harassment is only a problem in the corporate world. However it also very commonly effects educational institutions. Because of the provisions of Title IX, schools are liable for sexual harassment by staff including teachers, coaches and anybody else an authority position. Sexual harassment is something that school administrators must be aware of when dealing considering how to train their employees. Title IX (the federal Equal Opportunity in Education Act) covers all public and private schools that receive any form of Federal Aid. The Supreme Court ruled that Title IX also applies to sexual harassment and the Department of Education’s Office for Civil Rights created guidelines dealing with sexual harassment in schools. Some types of harassment are obvious such as quid pro quo harassment. An example of this is when a school employee explicitly or implicitly conditions a student's participation in an education program or activity on the student's submission to unwelcome sexual advances. But other circumstances such as students sexual harassing other students is much more subtle. For example if a student complaints to administration about sexual harassment and the school doesn't take immediate action, the school could then be liable. Part of reducing this liability is for the school to immediately respond to any allegation of sexual harassment and to deal with it effectively. 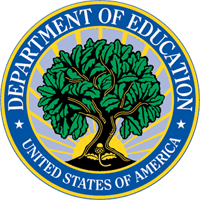 The department of education has recommendations on how to deal with sexual harassment when they occur including working to eliminate the hostile environment by among other things, "conducting sexual harassment training for the school site or academic department where the problem occurred." Of course, one of the best ways to reduce liability for sexual harassment is to prevent it altogether. That's why having a training program for all employees in sexual harassment is an effective way to reduce the incidence of sexual harassment in the environment. Often sexual harassment occurs because. And to avoid the liability of students sexually harassing other students, it's important to make staff and teachers aware through training of the warning signs of sexual harassment. Administrators should be aware that there are many options for sexual harassment training, including on-site training and online sexual harassment training. Often online sexual harassment training is a good option because it is both effective and convenient for the schools staff. For more information read the U.S. Department of Education's Sexual Harassment Guidance: http://www.ed.gov/about/offices/list/ocr/docs/sexhar01.html.